Over the years, manufacturers’ concept cars have ranged from the sublime to the ridiculous (go and Google “Isuzu Nagisa” if you want a laugh). However, it’s hard to remember one more mind-bogglingly insane than the new Infiniti Prototype 9. 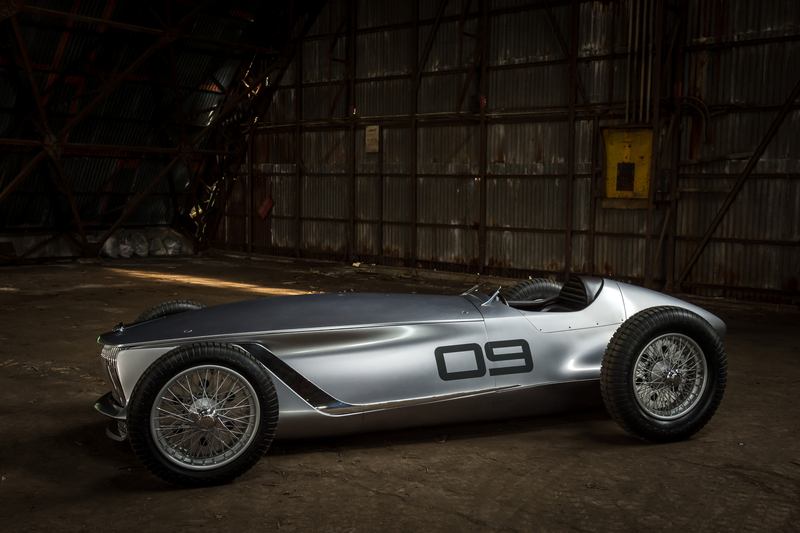 Unveiled ahead of its public debut this week at the Pebble Beach Concours d’Elegance (part of the Monterey Car Week), the Infiniti Prototype 9 is, in the Japanese manufacturer’s own words “an open-wheeled electric retro-roadster prototype”. Yep, it’s as crazy as it sounds. Evidently inspired by the Grand Prix racers of the 1930s (such as the original Silver Arrows), the Prototype 9 combines a classic racing car aesthetic with some decidedly modern contours, including the sharp swage line along either side of the bonnet and the narrow, pintail rear fairing. 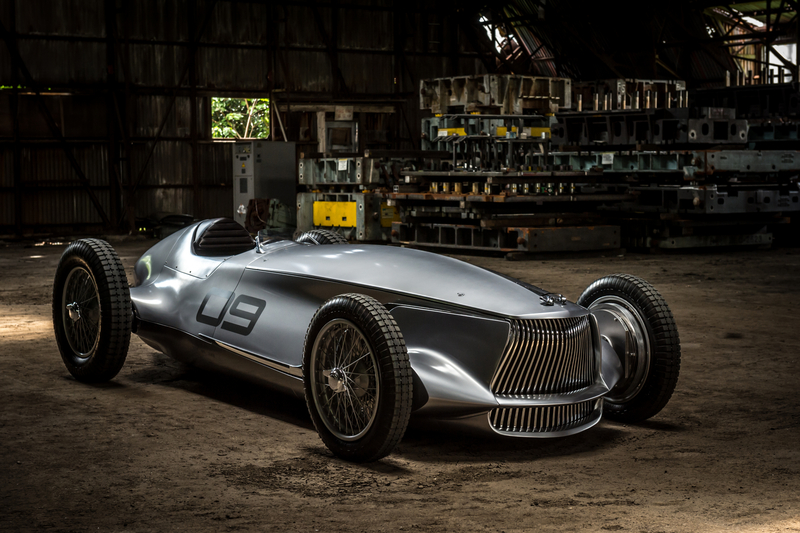 In a bizarre way, the Infiniti Prototype 9 will fit right in at Pebble Beach. A few punters (after a few glasses of the region’s famous wines) will, no doubt, be fooled into thinking that they have stumbled across some über rare retro curio. However, the Infiniti Prototype 9 is, instead, an afterhours project created by some of the Japanese manufacturer’s designers and engineers, intended to showcase the firm’s ingenuity and craftsmanship. There’s certainly plenty of the former on display. The last time a concept car was launched wearing genuine wire wheels must have been back in the 1960s. 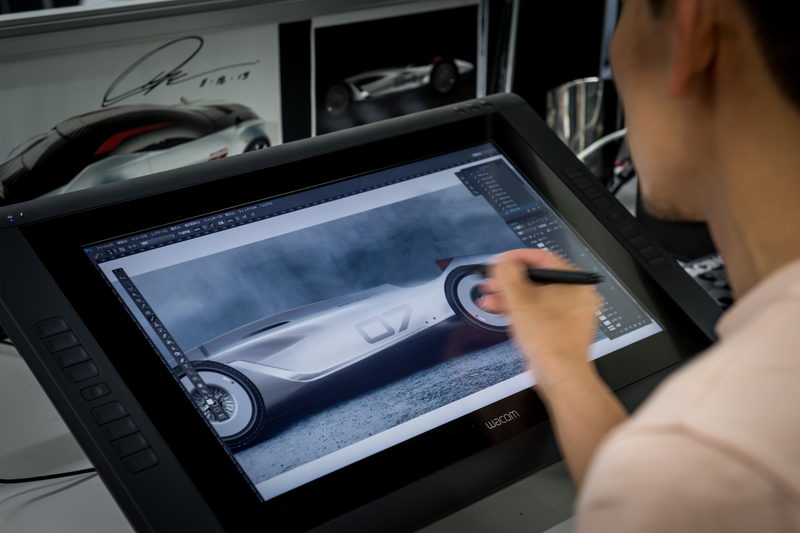 Beginning life as a simple sketch by Senior Vice President of Global Design, Alfonso Albaisa, Project 9 evolved into something more tangible when Infiniti’s production team caught wind of the hitherto-clandestine creation. “Our engineers were excited by the notion of creating a past vision,” explains Roland Kruger, Infiniti’s Global President. “We discussed the idea of ‘chancing’ upon an unrecognised race car, hidden away for decades in a barn, deep in the Japanese countryside. We wanted to explore what this looked like, what it would have been made of,” Albaisa adds. 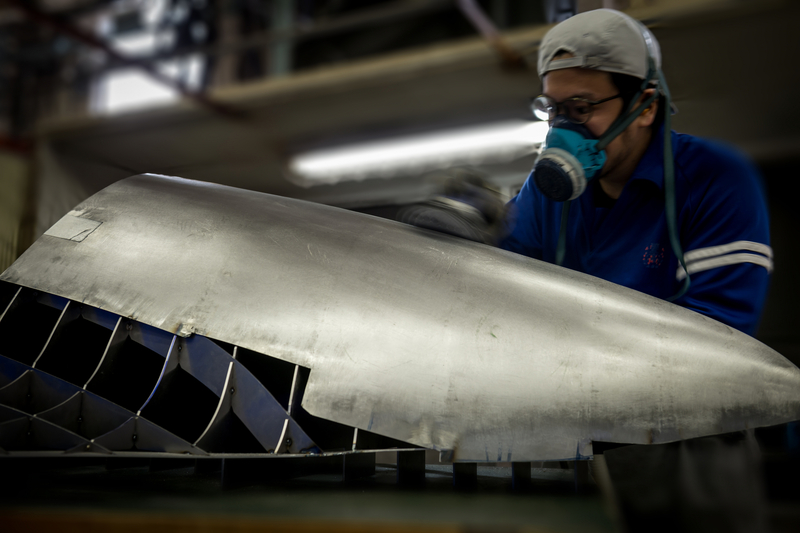 The end result is finished in bare metal, beaten into shape by hand by parent company, Nissan’s team of ‘takumi’ (that’s master craftsmen, to you and me). Matching the prototype’s styling, the construction is suitably old-fashioned, using body panels wrapped around a steel ladder chassis frame (both made of steel). Those wire wheels we mentioned are even shod in period-style competition rubber. The single-seat cockpit is swathed in black leather and contrasting red stitching, echoing the classic racers that provided Prototype 9’s inspiration, while a subtle Japanese flag emblem is stitched into the integrated headrest. In order to provide “a single-minded focus on driving”, the cabin is devoid of myriad switches. Instead, the controls are kept a bare minimum, while the driver’s gauges are housed inside the centre of the steering wheel’s hub. There is one thing in the Infiniti Prototype 9 that isn’t decidedly retro though, and that’s the powertrain. There’s no supercharged straight eight engine here. Instead, it’s a whisper-quiet EV motor (apparently a prototype unit not yet seen on a production car). Complete with a 30kWh battery pack, it provides the equivalent of 148hp, enough to shove the Prototype 9 from 0-62mph in 5.5 seconds and on to a modest top speed of 106mph. It may be utterly pointless but we can’t help but adore the brazen absurdity of Infiniti’s creation. We’ve got just one question: can we have a go?